Let's keep being Sole Awesome!! Become part of a Fabulous, Fearless, Sole Awesome Girl community. The Sole Girls community is geared towards our Sole Girls Alumni (girls who have participated in 1 or more 9-week program). 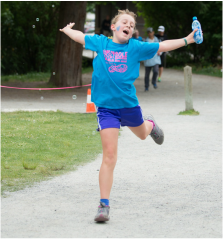 We are committed to connecting more girls with girls and building powerful friendships, conscious conversations, leadership skills, mentorship and FUN physical activity for girls. We train and inspire girls to not only build their confidence, but to stay “SoleAwesome” in the process. We are creating a movement of future female leaders who are the faces of our communities. The Sole Girls membership is your access to our groups and great supportive network of amazing young women. You will receive mentorship and tools that will help your confidence and friendships soar! Discount on our #SuccessBABE– Checklist for Success eBook– NEW! Discounts on our #SuccessBABE Business & Lifestyle Retreats– NEW! *Annual memberships of $20 CDN + HST/month. Please note that your membership must be active in order for you to receive full benefits. *After you complete your registration, your first membership payment will be deducted from your PayPal account. Your membership fees will be automatic on a monthly basis, from the date that you sign up. There are no refunds after payment has been submitted. Click here to join our community of Sole Awesome Members only community! !